Deer/MANIK requires that we walk in our Highest Integrity. Our path must reflect what we believe is Truth. The Love we Give must correspond with Love that holds no conditions. We all have our own Truth, based on a lifetime of our perception of experience. All our Truth is based on perception. It’s not so hard to fabricate Truth unless we are Vigilant of our thoughts. None of us hold the same Truth in the same way. We will never find another Human that believes exactly as we do. We can’t accommodate everyone’s Truth. All we’ve got is our own. The farther we follow our own path, the more our thoughts and Truths will change. We’ve held on to many of our Truths for a very long time. What’s ingrained as our Truth is the challenge of a Mission to change our whole perspective. Our own Truth is all we have to stand on. We have to stand on what we Believe about a Divine Creator. Human’s are unreliable in a state of lower consciousness. Our experiences influence what we expect. We’re changing an entire set of expectations, based on Human limitations. The thread of Ether that connects us to the Creator is the lifeline for our Mission. We have to allow the Divine Truth to be our Guiding Light, whatever that Truth might be. Flint’s delivery of Truth comes in a flash. Flint can generate an epiphany of Truth. We never know exactly what to expect of Flint. In the Transformation Phase of the trecena, we are changed by a Divine Intervention. Flint can feel like a psychic surgery. There’s a false truth in operation that we can’t see. Flint’s Truth can cut to the bone. We’re forced to take notice. It may be a “hard Truth,” but in the end, it’s exactly what we needed to hear. We could feel wounded by our own Truth. On the bright side, Flint can also deliver a Flash of Genius. We may have had a perfect idea for Creation, but wrote it off without any credit. We could suddenly see the Common Sense of it, and recognize the potential success of moving forward. Maybe our false truth was an illusion of powerlessness. With the Intention of Tone 12 and the Truth of Flint working together, we can expect a Truth that will be central in paving our way. 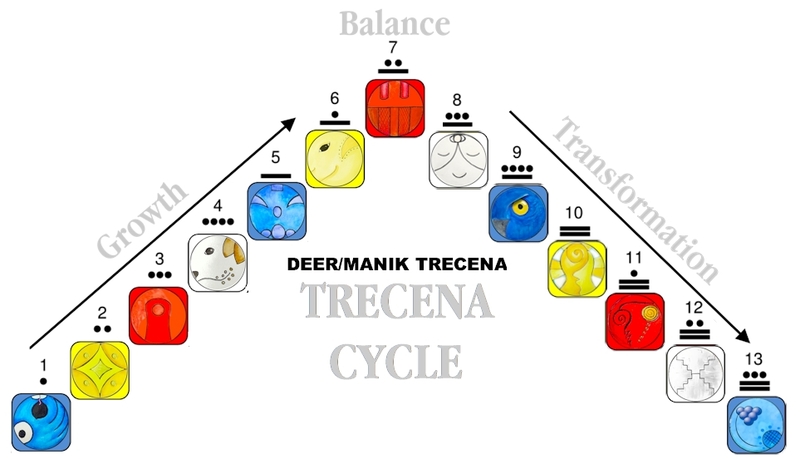 The Deer/MANIK trecena inspires a path of Service. Today we receive the Understanding of how our own Truth makes it possible. All we have is our own Truth. We know that Humans fail. How will we discern Divine Truth from Human truth? Flint offers the gift we can reflect on. We’ll be given an opportunity to know what our own Divine Truth feels like. Divine Truth hits us like Flint. It comes as a revelation. Our mind is turned to Truth in a flash. From the opposite reflection of Human vs Divine, our Human truth is never so clear. It doesn’t come in a flash, we spend a lot of time trying to make the pieces fit. The pieces don’t have to fit when we Know the Truth. We just Know it. Truth is never confusing. It always makes perfect sense and answers a lot of questions. False truth raises more questions than answers. With our enhanced gift of retrospection, we can go back and see the Truth of this. You’ll see it again today. Those born Flint are Mirrors of Truth. We might compare Flint’s gift of Knowing Truth like the Spiritual Gift of telepathy. It’s impossible to get away with a lie with Flint. They don’t even have to call it out. Flint can see through a lie, and the Truth will be written on their face. You might be tempted to bend the truth on Flint, but the Truth will be seen for what it is. Love is the Mission. Truth is the way. Telling the Truth about our Self presents our Darkness to the Light. Standing on the Truth of our Dreams, reveals what we Love and what matters to us. We’re called to follow the path we Love, revealing what we Love. We were guided by Eagle to reach for our Highest Aspirations. Sharing them will make it obvious if we fail. Our own failure is a Truth important to share. As long as we are a demonstration of our own accomplishment, no one will see the Divine Accomplishment. Within all of us lies a fear of failure. This is the wound our Mission of Love is meant to heal. The Divine Truth we ALL need to hear is that Human limitation does not mean a limitation of Power. The Truth of our demonstration must be that the Intervention of a Divine Agency, connects us to all the Power Above to create Love in the world Below. Flint can heal the sorrow of our limitations and sweep the path clean. Flint reveals hidden plots and snares, by others as well as negativity in the shadows of our unconscious thoughts. We will see the Light of Hope in Flint’s Truth whatever it is. We will understand how Love can lead us to the Truth. Through the help of a Divine Agency, our minds will be made wide-open to the Truth. We’ll see the Divine Service of Truth. To all my relations, may we Volunteer to Know the Truth we need to hear. May we never fear Truth that sets us Free. When Truth presents a challenge, may we Remember the provision of Divine Intervention will carry us through. May we make Wise decisions, that considers the Truth preserved by the Ascended Masters, as well as the Wisdom of our own experience. When the Truth reveals an injustice, may we Remember that Forgiveness is the Highest Service we can offer to another Human Being. May we Trust our own Truth. The Creator wanted us to stand on it. If we aren’t sure, we still don’t have all the facts. All our Gifts were given to Know Truth as soon as we hear it. A HARD TRUTH: The Integrity of this site is DEER to my Heart. My mission is for you to Know your own Truth. I share my own Truth that I’m willing to stand on. I only share links to resources I’m willing to endorse as aligned with the teaching of my Elders. I found my posts republished between hate speech posts on another blog. Posts next to mine linked to a hate news community that promoted a “consciousness game” encouraging members to each solicit 10 new members to the game. They were targeting spiritual/consciousness blogs. I was compelled to share the experience with you as a VERY “Flint Truth” that cut to the heart. I didn’t want to offend, but asked for removal, sharing the posts were written for a site of sanctuary away from the darkness of the world. Cherokee, Flint/DAWI’SGALA: Mirror, flint. Ability to discern deception and mirror it back to the other. A catalyst for change through this ability. When used properly, harmonic resonance can be the result. If you take on anothers issues through the mirror, the result will be anger, grief and misunderstanding of purpose. All issues will surface and be mirrored in this earth walk. Energy comparable for teaching, leader, philosopher, writer, observing the mass consciousness evolution in some manner. 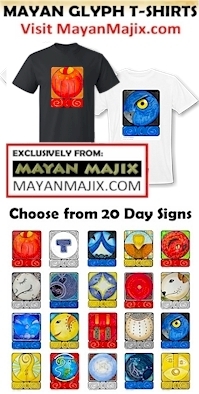 Flint’s symbol is Chawa’ or Castor of the Castor and Pollux Twins in Gemini. Castor appears in the evening personifying darkness. Pollux then appears in the east at dawn to end the night. Totem is a Flint Knife. Flint spirit shone a light like the sun and gave the people the Sacred Venus Calendar, fixed the days and promised to watch over the earthlings. A flint person endeavors to keep that covenant. Opener of the Way, a creator, innovator, stretches the mind to outside limits of capabilities. Changes the static to the dynamic. Brings about change, often through separation and destruction. Beams the Stellar Ray of Truth to Earth as a crystal sword cast down along the path of a lightning flash. The transformer brings things to a head and wipes the slate clean. Sat NAM! 9 Eagle Debra. Thank you, as always, for your wonderful words! I want to ask about your notion to “push away negativity.” I feel that the notion of pushing it away does not resonate with “my” truth. While my ego’s instinct is certainly to push it away, should I not first acknowledge and be grateful for the seemingly “negative” energy…asking it, as best as I can, why it is here and what I might do to honor its purpose and serve its needs vs. just pushing it away because I choose to “see” the energy as negative? As you said, we all have the right to make choices based on our own truth…and I DO honor yours. But purrrrrrrrhaps…once you hit “publish” on your words…they no longer “belong” to you…puuuuuuuurrrrrrrrrrhaps Spirit takes them throughout the interwebs and finds EXACTLY the most appropriate places to plant Seeds of Divinity amidst the OVERWHELMINGLY fertile soil of our collective darkness.